A small but effective scheme conducted by Thorn in St Petersburg, for the city's former water-tower, provides an excellent example. 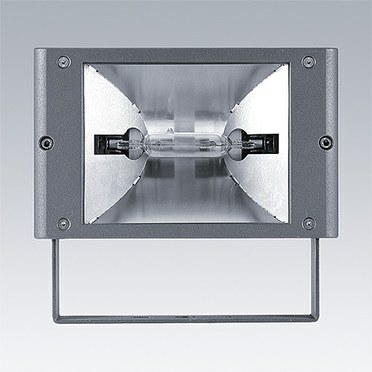 Qba floodlights using 70W and 150W high pressure sodium lamps were selected on the grounds that they emphasised the warm tones of the 19th-century brick work and that their compact size and precision beam patterns would facilitate installation and enthral and inspire bystanders whilst limiting obtrusive light. 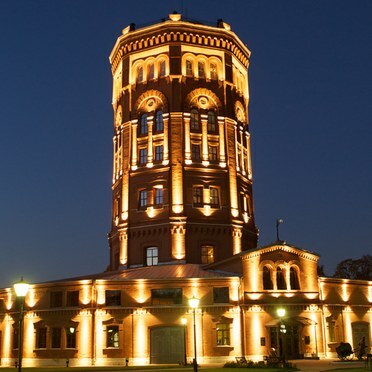 The tower, which marked the start of the centralised water supply in St Petersburg, was presented to the city by local water company Vodokanal, and now houses a unique Water Museum. The scheme was designed by SPb GUP "Lensvet". Electrical contractors were LLC "Maltech".